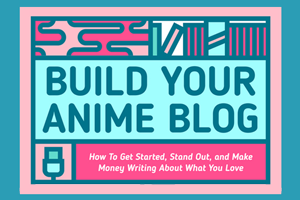 Edit: Since this post has gone up, I’ve built a brand new site all about Gundam model building! Like Gunpla? 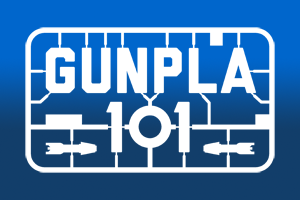 Click the image below to visit my new blog, Gunpla 101. I recently hit a milestone in Gundam building—my tenth ever Gundam. Finally, after eight High Grade models and two SD models, I’m ready to tackle my first Master Grade—an Endless Waltz Deathscythe Hell that we got as a wedding present (yes, we’re geeks and so are our friends). As you learned in 101, Gundams vary in both size and complexity, or as manufacturers refer to it, grade and scale. The difficulty of a Gundam lies entirely in its grade. The scale has nothing to do with it. Which of the Gundams pictured was the hardest to build? It was NOT Victory Gundam (High Grade 1/60). It’s easy to make this misconception because the hardest Gundam models on the market—Perfect Grades—are almost always 1/60 scale. Actually, the real toughie of the bunch is Crossbone Gundam (Master Grade 1/100). As a Master Grade, it has the most parts, and these parts have been manufactured with the finest quality. For example? A Master Grade is likely to have working fingers that can grasp weapons just like a real hand. John bought a new Master Grade, Gundam Destiny Extreme Burst Mode, at Otakon and ever since he put it together, it’s been the centerpiece of our living room. From his iridescent wings to his metallic skeleton to his glittering weapons, Gundam Destiny inspired me to get cracking on my first Master Grade. Higher quality. Ever started building a High Grade only to find a factory error? 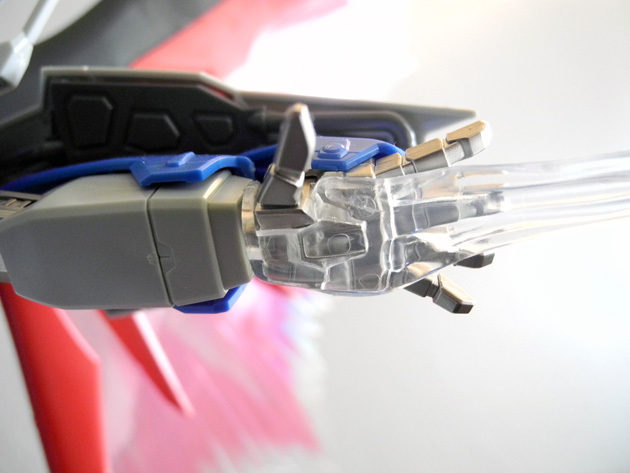 I feel you; my Gundam Unicorn is definitely super-glued in some parts. And it isn’t about size. If you look at the “wings” on Victory Gundam in the first picture, you might be able to spot a sharp edge where there ought to be a round one. Little imperfections are far more noticeable on a High Grade, and far less common on a Master Grade, because of the increased level of attention to detail. Significantly more complex. They call it a Master Grade because it’s not for beginners. If you think your latest High Grade has a lot of parts, you’ll be amazed by a Master Grade. For example, Gundam Destiny came with 16 different plastic sprues, compared to the 6 sprues it took to put my High Grade Bearguy together. And that’s not even saying how much longer the instruction booklet is! On a related note, expect to devote a lot more time to putting a Master Grade together. Bigger investment. A High Grade will set you back anywhere from $20 to $60, depending on if it’s common or a special edition. A Master Grade, on the other hand, can easily cost anywhere from $50 to $100+. It’s a lot to put into a hobby, even if you’re serious about Gundams. That’s why you’re far more likely to find High Grades of every model, and Master Grade versions only of select and popular models. 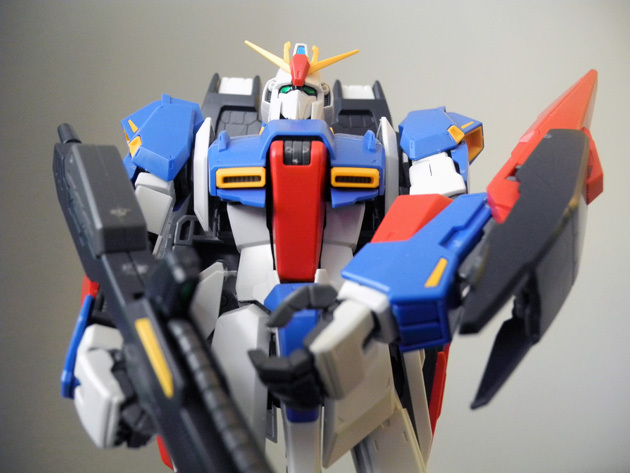 Are you ready to build a Master Grade? ☑ I’ve built at least one Gundam model before. ☑ I built my last High Grade model quickly and easily. ☑ I’m looking for a bigger challenge. If you feel confident checking all three boxes, then I feel confident recommending that you build your first Master Grade. Otherwise, why not try another High Grade or SD until you get more comfortable? There’s no shame in it; I built 10 before I felt ready for something harder. Choose your model carefully. Sometimes there are multiple Master Grade variations of the same Gundam. I can’t even tell you how many MG variations of Gundam Unicorn there are now. Like with any Gundam purchase, do your research and make sure you’re getting the one you actually want, down to the model number. Invest in the right tools. 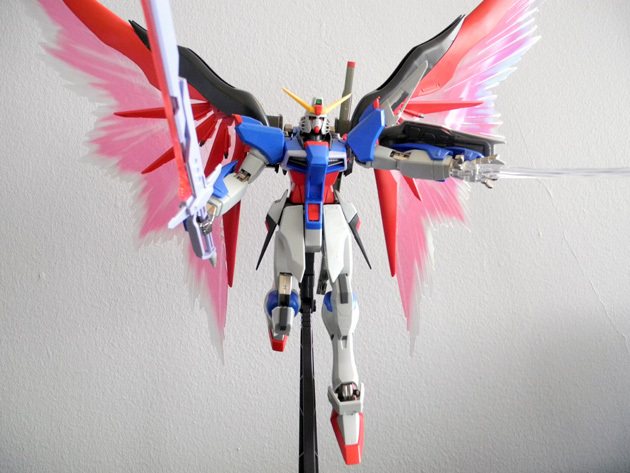 Gundam kits are put together in a way that you CAN construct them using just your hands. But if you’re going to spend upwards of $50 on a Master Grade, you want it to look good. See the notches on Zeta 2.0’s gun in the photo above? Those could have been minimized with a toolkit that included sidecutters and a fine razor. 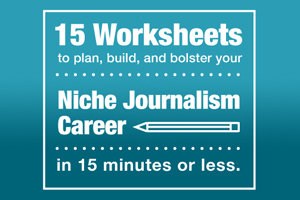 Here’s the toolkit I now use and recommend. Don’t work ahead. When I work on a High Grade, I often cut out a bunch of parts in advance in order to speed up the process. But with a Master Grade, there are so many more parts that it’s easy to lose track of what goes where. Only cut out the parts you need for one step at a time, and only move on after the step is assembled. Take your time. 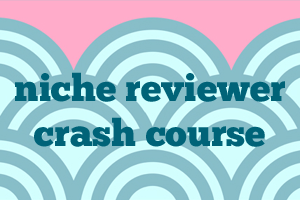 Even if you’re an ace at building High Grades, don’t plan to build your first Master Grade in just one night. Pace yourself and save yourself the trouble of having to retrace your steps after the fact. Since the final touches are often the most visible, slowing down at the finish will result in a cleaner look. I hope this helps you feel a little more confident about building your first Master Grade. Be sure to check back as I update with photos of mine in progress! One thing to point out. Crossbone Gundam is likely a little shorter than your average Master Grade Gundam because late Universal Century Gundam’s are shorter then most other Universal Century or Alternate Universe Gundams. Great suggestions! I’m too lazy for paint touchups, but using a razor to file down the imperfections takes me little effort for a big payoff! @Fitri, it’s complicated ^^; Usually the only Gundams that are 1/60 scale are Perfect, but this Zeta Gundam was a unique run. Some people have asked if it’d be better off labeled No Scale since it’s so unusual for a high grade, but it says 1/60 on the box so that’s what I went with! looking online now there is “entry grade” how does it do on the grade range? I’ve been completing getting a MG Zaku as my first Gundam figure but I guess I’m not ready for that. Thanks for the help, from France ! i just want to ask,I’ve built 3 hg’s and i’m wondering if i can build the mg? or should i try real grades first? Here are a few other tips that might help. The order you cut the gates sometimes matters. If there is one large sprue and several smaller ones cut the small ones first. Also even with side cutters don’t cut the sprue directly next to the part you are cutting out but rather a little bit away or towards the gate. The reasons for this is that as you cut the plastic is stretches and as it stretches it turns white or can open small holes in the surface of the part you are cutting out. Cutting away from the part and then using a razor or side cutters to remove the remaining plastic solves this problem. Another thing that can help is getting a nail buffing tool. One of the type that has four different sides for filing smoothing and buffing is best and nothing to blocky. These can be used to fix bigger mistakes and restore the plastic to a shiny luster. One other thing, Real Grades can be much trickier to build then many Master Grades. They are just as complex in many ways but the parts are all very small compared to some MG’s and they have tons of stickers. Consider some of the oldest master grades to build first they are very similar to modern High Grade. Check out the instructions online first and see what you are getting yourself into. @emanuelparedes:disqus I am honestly impressed! I had to build several High Grades before I was even comfortable with the idea of building a Master Grade! But you bring up a good point that everyone is different. I’d never built other types of models before Gunpla; if you have, you might be ready much sooner. my first kit was a non grade kit of Heavyarms MK.II. did that in one night with no nippers or files. still have yet to sticker it, and i’m going to leave it blank, just to kinda see where i’ve come from. My 2nd “Real” kit was an MG Heavyarms Custom (i like trowa, so sue me :P), and it still turned out OK. So long as you take your time, and follow the instructions, it will come out OK! (being able to read some Japanese helps) afterwards i did 3 HG/RG kits, until tacking my latest MG kit, the Hi-Nu Gundam, Ver. Ka. I have yet to decal him( that’s what this weekend is for:P) but he looks amazing. No need to start with HG/RG, so long as you take your time. but if your not careful, the booklet of an MG will melt your brain. Master Grades really aren’t that bad, as since the models themselves are a little larger the pieces don’t tend to be microscopic like you get with a Real Grade 1/144 kit. They have all the details and gimmicks of MG’s, but in a smaller package with much smaller parts and details. Ranking the difficulty, I’d go Real Grade and Perfect Grade at the top, followed by Master Grade, and then High Grade and the crappier kits. It’s funny that Endless Waltz Deathscythe Hell was your first MG, as it was mine as well. H e was really simplistic compared to most of the MG’s I’ve put together. The Ver Ka’s are usually particularly challenging, but are very rewarding. just finished my MG Hi-Nu Ver. Ka., and i can say that the Ver Ka’s are definitely harder, but oh so worth it! Actually my first was the RGZ-95 Rezel I didn’t have a clue what gundam was, just knew they were plastic models and i didn’t realize there were grades so I just picked one that was good looking and when I got home and built it. Turned out looking pretty good then took a 2 year break till I realllyyyyy got into gundams and started researching and learning all about gunpla. Then when I was going over the grades and scale that was when I realized. I built a Master grade as my first gunpla. Moral of the story is it is good if you have general knowledge and some research on buying your first gunpla but if you feel that you can build a MG right off the bat then go ahead but be more cautious as it can be trickkyy. I made the mistake of starting with a MasterGrade. I have not tried to build it. Just some info on the web clued me into the fact that I bit off more than I can chew. Ordered a HG. Not sure if I’ll keep or return my MG? This again is my first Gundam build. I see below that ML built a Master Grade first. Your a better modeller than me! My first kit was an MG Zaku II Ground Type, 2.0. Before that, I had no real experience, besides watching my birth father glue together car kits back in the nineties. I did an absolute awful job; ended up pulling it apart two years later, refinished everything and reassembled. Now its one I’m proud of. Problem, my hands are literally too big for any HG. I can’t find any HG that’s at least 1/100 scale on Amazon. So I have no choice but to go Master Grade. I have massive hands; it took a good long time and self training before I could manipulate those tiny HG and RG parts. Have patience and keep trying. Also, give HLJ.com a try; they have a good selection of the old 1/100 NGs. 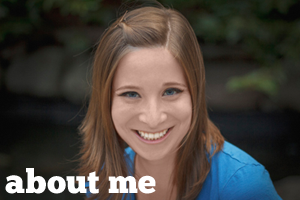 This blog changed my life. 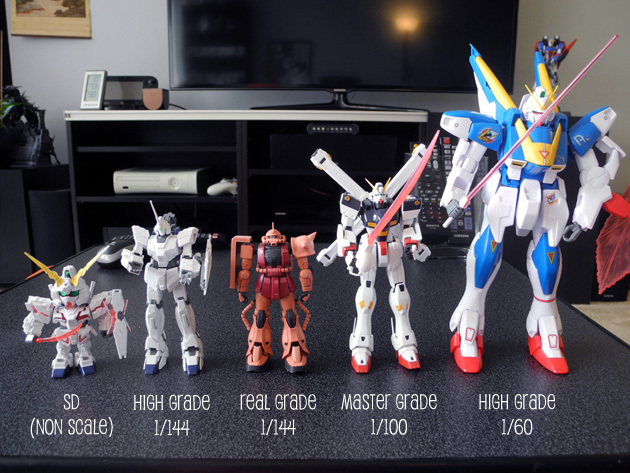 In the past two months I’ve built six High Grades and one Master Grade. I have Master Grade Turn-X here and I’ve yet to have the confidence to start on it. I admit that my Master Grade Sazabi was a build riddled with my dumb mistakes. I was so intimidated by all the sprues and the Master Grade moniker. I got one arm wrong and had to backtrack. I got the gold circular waist pieces wrong and had to spend much time on that. My finished build had leg armour wrong. So i took some time off came back and fixed the legs. The decals I did but flunked that though they took longer than the build to finish. If I had not been so nervous building the thing I would not of made the simple mistakes I did. If I had more of the mind-set of building a High Grade I would of been calmer in the build. I have a problem with my hands they shake sometimes with small pieces which makes tricky multiple polycap steps hard for me. Not to mention decals and stickers. Still I’ve learned a lot in a short time. @disqus_Ekdnv56mbv:disqus thank you so much for commenting. 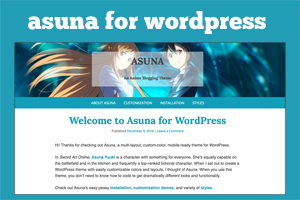 If you like this blog, you should definitely check out my Gunpla blog, http://www.gunpla101.com. I have a lot more advice for builders just like in this post. I am so glad to hear that you are feeling more confident about your builds, and I hope you’ll show me some photos when you can! so out of nowhere a friend hands me a Gundam Exia Master Grade box and tells me he’s sick of seeing it sitting on top of his wardrobe, judging him. I’ve never built a Gundam kit before but I’ve built a lot of airfix and warhammer models, so I’m vaguely confident about it. I’m sure nothing will go wrong! My first gundam was the 1/60 Exia. Having seen a video explaining how to remove the sprew I quikly built it. But I never was proud of it. I hid it behind some other stuff. I though the kit was too big, and lacking in detail. I thought I really had to get something amazing for me to be satisfied, so i got the pg 00. Then I tried the rg zaku II… It was the most difficult kit I have built… I loved the detail, but this time it was a bit too tiny. Then, when I got a hg beargguy for my sister, then I finally got what I was missing. The fun of building. Taking time to perfect the kit instead of rushing it. As I bult this kit with care for my sister, I finally enjoyed gunpla. And so, I got myself the mg hi nu ver.Ka. It was amazing in every way. And I’m extremely proud of it. I went as far as using all the waterslides and giving it a top coat. Take your time, and build a masterpiece. The good part is, you can always strip down your earlier kits and fix things up; its never too late to hit them with a little paint, right? Panel lines was the problem. Not the marker. Panel lines makes the model look unrealistic, and more toy like. After recently rediscovering Gundam I bought my first 1/100 Iron Blooded Orphans Graze (Commamder type). I bought 2 other highgrades and 3 SD’s. Then I saw the MG Unicorn an I just finished it. It was fun to build but the real reward was transforming it to Destroy Mode. These aren’t the best quality pictures (I took it with my phone) the negative one is just for fun. A life size LM312V04 Victory Gundam would be 15.5 meters (Almost 50 feet tall) and weigh in at 17.7 metric tonnes full armed. As for the scales, the closer the second number in the pair is to *1*, the closer it is to real life. 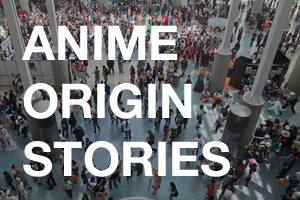 For example, many anime figures are 1/7 or 1/8th in scale, meaning they’re a seventh or eight of the size as they would be if they were people. Haha, i’m such a dork. Bought my first gunpla, an Exia Master Grade, now I am completely at loss. I really don’t know if I should keep on building it, or if i should try another grade first. Doing things recklessly sure is painful. Thanks for the insight on this! New builder here, is it normal to find imperfections with a high grade model? (Ie. Some bits dont fit as perfectly as they should). Cheers guys. Not especially normal, no. Bandai is usually good about doing recalls on kits that consistently have problems, or that were sent out with incorrect sprues. The best advice I can give you is to double check and make sure you aren’t trying to fit two *similar* parts, and to always buy from a trusted supplier. Counterfeits are unfortunately common, and their quality is sometimes lacking. I am soon going to build a high grade sand rock in honor of my brother who passed over the summer it was his favorite and I want it to look perfect and weathered any tips on on budget weathering?